The U.S. Army Veterinary Corps gives you the opportunity to develop skill sets and practice in areas rarely available in the private sector. Army veterinarians protect and serve our Soldiers, their families and the general public through food safety and defense, animal health, and biomedical research and development. Using the latest technology, Army veterinarians develop cutting-edge treatments and push the boundaries of veterinary medicine and public health capabilities. The U.S. Army Veterinary Corps gives you the opportunity to develop skill sets and practice in areas rarely available in the private sector. Army veterinarians protect and serve our Soldiers, their families and the general public through food safety and defense, animal health, and biomedical research and development. Using the latest technology, Army veterinarians develop cutting-edge treatments and push the boundaries of veterinary medicine and public health capabilities. Army veterinarians focus on veterinary, medical and surgical care, food safety and defense, and biomedical research and development. They enjoy a variety of opportunities for continued education. They may also provide military veterinary expertise in response to natural disasters and other emergencies. The U.S. Army and Army Reserve health care team offers licensed Veterinary Corps officers a substantial range of benefits to help you build a strong future. To join the U.S. Army or Army Reserve health care team, you must meet the following requirements. 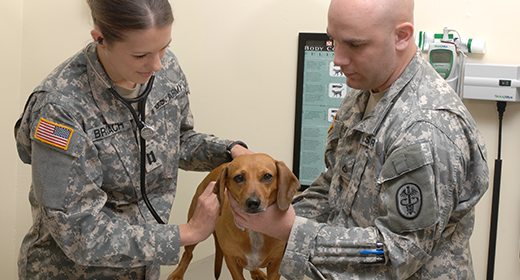 The Army Veterinary Corps offers unparalleled financial support for veterinary students and those already licensed and practicing. The U.S. Army or Army Reserve health care team offers licensed Veterinary Corps officers a substantial range of benefits to help you build a strong future. Joining the Army Veterinary Corps means working with the world’s top specialists who are leading innovation and pushing the forefront of medicine with the continued support of research funding and development. The Army Veterinary Corps conducts and oversees all Department of Defense veterinary service activities, providing services to the Army, Navy, Marines and Air Force in more than 90 countries. As an Army veterinarian, your contribution is vital to our mission. The U.S. Army has been named one of the world’s most innovative organizations. In just three years, we earned more than 300 patents in science, technology and medicine. As an Army veterinarian, you’ll explore and pioneer ways that make a big impact. From food safety to drugs and vaccines, U.S. Army veterinarians develop technologies and tools that save lives, reduce recovery times and increase quality of life for patients both human and animal. Our medical facilities are some of the most advanced in the world. 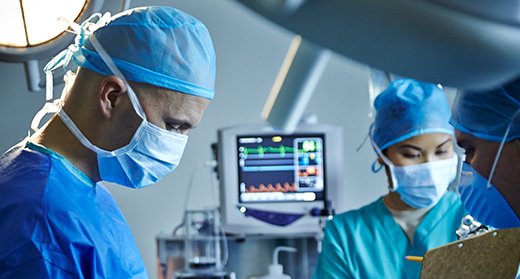 Be part of an elite team at the forefront of medical technology. As part of the U.S. Army Veterinary Corps, you’ll be connected to one of the world’s largest, most funded and high-tech health care networks in the world. Army medicine provides once-in-a-lifetime opportunities to lead, grow your career and become a triple-threat health care provider as you practice medicine, innovate and/or teach. With a variety of ways to serve and practice, U.S. Army veterinarians develop fulfilling and rewarding careers. They practice their specialty without many of the operational restrictions, such as cost, found in the private sector. This allows for more time to provide high-quality care and research. Perfect your specialty and push the boundaries of veterinary medicine with the support of a team focused on research, development and collaboration. 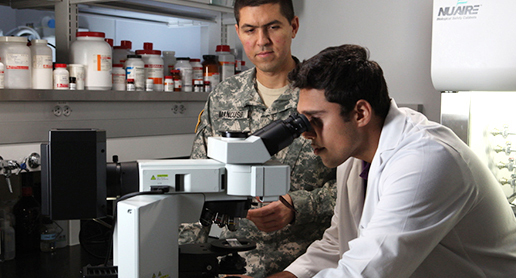 The U.S. Army gives you access to top medical professionals around the world who pioneer new medical techniques and breakthroughs. This is your opportunity to advance the field of veterinary medicine. As part of the Army Veterinary Corps, you’ll have the opportunity to expand your knowledge through continued education. Learn more about being in the Army Veterinary Corps and join an elite team.